They are supposed to helping broker a conflict between Morocco and the Polisario independence movement in Western Sahara. Evidently that leaves them a lot of free time to take spray cans to prehistoric engravings at the rock art site at Lajuad. The most dramatic example of this is at Lajuad in the Southern Sector of the Polisario-controlled zone, where MINURSO recently installed some communications hardware on the inaccessible (except by helicopter) summit of a smooth granite hill. 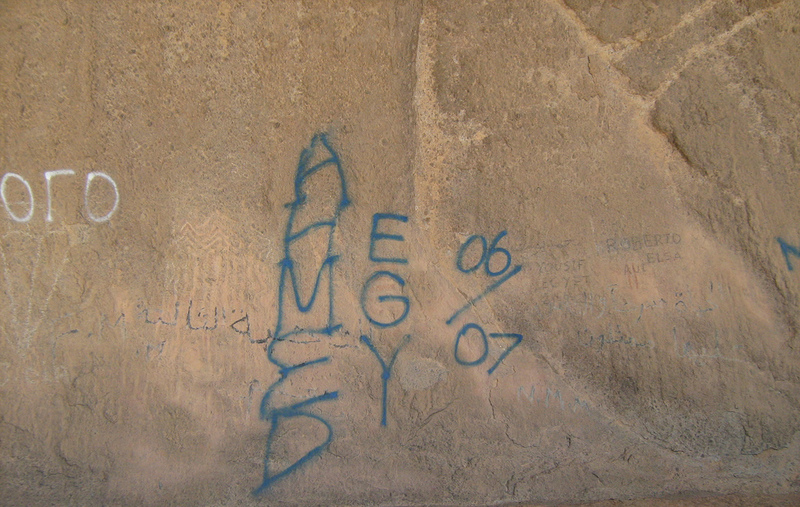 It appears that the MINURSO personnel responsible for the installation amused themselves by spray-painting their names on the wall of a rockshelter that is also an important archaeological site (see photos). Although the paintings and engravings in this shelter are somewhat faint, it is difficult not to notice that the wall defaced by the MINURSO personnel houses ancient paintings and engravings, as does the floor of the shelter. See those zig-zags like on Charlie Brown’s shirt with the lines dropping down? They’re faint already on account of they’re thousands of frikkin’ years old. Ahmed’s stupid frikkin’ tag sure doesn’t help matters. It’s not the first time the rock face has been scribbled on — some of the graffiti goes back to the beginning of the 20th century — but these scrawls are huge and they were done by people who were supposed to be there to help. Now UNESCO has to clean up the mess their colleagues in the UN made. 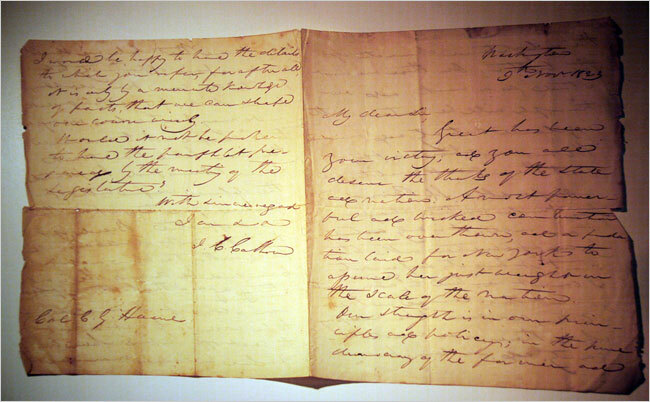 Joseph Romito, armed solely with a hobbyist’s interest in John C. Calhoun and his multi-volume set of Calhoun’s correspondence, caught one Daniel Lorello in the act of selling a letter purloined from the New York State Archives on eBay. Turns out, Mr. Lorello has been funding his daughter’s credit card excesses with the theft hundreds of rare books and documents, ranging in value from 10 bucks for some crappy stuff to $3,000 plus for a rare “Davy Crockett’s Almanack”. Most of the missing items have been found in boxes at his home, thankfully. Unveiled Monday by the Israel Antiquities Authority, the restored mosaic was found in 2005 during the excavation of Bird Palace in Caesarea, Israel. The gleaming panel of traditional glass and rare gold tesserae appears to be of Christian origins, and somehow survived the destruction of the palace in astonishingly good condition. 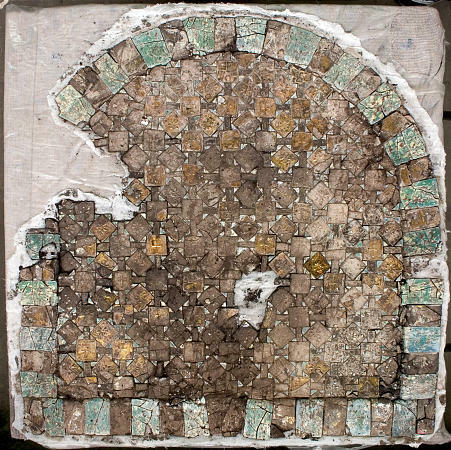 Yael Gurin-Rosen, head of the IAA’s glass department, said that the mosaic panel is the first of its kind to be excavated in Israel, and due to the quality of its preservation, given its age, and its gleaming, gilded craftsmanship indicating Christian origins, it is most likely the only one in the world. The new season of the only shows on the History Channel that doesn’t make me mad, Cities of the Underworld, starts tonight at 9:00 PM EST. It’s basically an urban spelunking program, in which some hip five o’clock shadow and jeans type gets a guided tour of cities beneath street level. Under Edinburgh there’s a whole scary vault city. Even today, long empty of the literal underclass which once packed its rooms, it still reeks of illegal distilleries, destitution and communicable diseases. That was totally my favorite episode. Tonight they’ll be exploring the urban underbelly of Jerusalem, which is bound to be a far cleaner experience than the nastiness all the other channels are offering. Irbil, capital of the autonomous Kurdish region of Iraq, has a citadel. A citadel which has been continuously inhabited for 8,000 years. A citadel just 20 miles away from where Alexander the Great finally defeated King Darius in 331 B.C. A citadel on the verge of collapse. The Kurdish government, in conjunction with a Czech restoration company and a variety of NGOs, has crafted a plan to restore this gem before it’s too late. Little is known about the early inhabitants of Irbil but the citadel’s secret is water – an abundant supply has maintained civilization after civilization. The site “is a rich historical repository holding evidence of many millennia of habitation, more than 8,000 years old, making it the longest continuously inhabited site in the world,” said UNESCO’s Djelid. 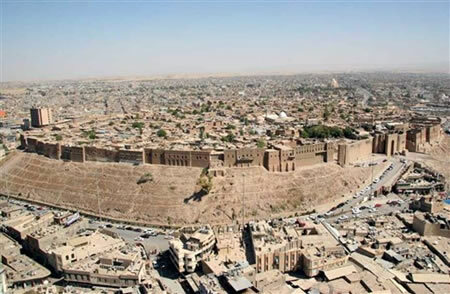 The citadel sits atop a roughly 30-metre-high mound formed by layers of successive settlements, including Assyrians, Akkadians, Babylonians, Persians and Greeks. They need $35 million to get started, though, and right now the kitty is at zero. Here’s hoping the wondrous rare beauty and historical importance of this site inspires a flood of donations. Remember that Saturday Night Live sketch where Phil Hartman played a cave man found frozen by scientists, thawed out and became a lawyer? His shtick worked like a charm with juries. It’s not so cute, though, when it’s the director of a museum raided for buying stolen goods doing the fuzzy appeal to ignorance. Although the museum has extensive collections of Ban Chiang artifacts, Mr. Keller said, “We honestly did not know this material was illegal.” He added that his researchers had been unable to find evidence of the Thai antiquity law forbidding their export, passed in 1961, in the databases they regularly consulted. […]The agent was also said to have mailed Mr. Keller a copy of the Thai antiquity law that month. “I don’t recall ever seeing that correspondence,” Mr. Keller said. The museum has never required proof that artifacts it accepts have been obtained legally, Mr. Keller said. Donors are required to sign a statement saying that they are the rightful owners of an artifact and that it is in the United States legally, he said, but they are not asked to provide documentation. Mr. Keller said it was a “very difficult thing to prove” where an artifact has come from or how long it has been in the United States. “I don’t know how you prove it,” he said. Ladies and gentlemen, I’m just a museum director. Your world frightens and confuses me! Sometimes, the searching of your Google or the flipping through your library card catalogs looking for well-established 40-year-old laws or doing any other elementary due diligence to ensure I’m not supporting a dirty illegal trade endemic in my industry make me want to jam my fingers in my ears and say “lalalalala”. What’s a curator to do? So, are all the graduates of curating/gallery studies/museum studies doomed to careers of self-deception or outright fraud? Do you think anything can be done? If the legal/moral supply really is too small, and the demand is large, it strikes me that a “War on Drugs” approach of occasional prosecutions will work no better than… well, the War on Drugs. Do you see a practical course of action that could help? Assuming the curator wants to work in the North America, there are two approaches I can think of which could help de-loot the system: 1) buy local, and 2) pursue long-term loans and travelling exhibits. The lust for classical or exotic fureign antiquities seems to me a vestige of the Gilded Age parvenue attitude that prestige and class can be bought. Nowadays, there are all kinds of museums with a more narrow focus on local history. There’s still a huge traffic in looted local antiquities, mind you, especially Native American and Civil War, but it would be easier to trace the provenance on such pieces and most importantly, to team up with legitimate archaeological excavations and arrange the display of their finds. The money, though, is in long-term loans and travelling exhibits. This would work both with local antiquities under the control of government agencies (national parks, for instance) and tribal governments, and with other countries’ antiquities. There are already established loan mechanisms between museums, and many countries with a surfeit of antiquities would doubtless be glad to negotiate long-term loans of stuff they have in storage or can ill-afford to preserve. First there needs to be a serious culture shift, however. As things stand, curators and the collector class who populate museum boards have been more than content to rationalize their wallowing in the loot trade sty. The froo-froo talk about antiquities “belonging to the world” or worse, the patronizing “we can take care of it better than they can” excuses for trafficking in goods stolen at massive cost in site destruction and even human life, have to stop. The New York Times has more details on the busts: Four California Museums Are Raided. The Markells would acquire an object from Mr. Olson and then offer it for sale to the undercover agent for about $1,500. They would provide an appraisal valuing the object at close to $4,990, an amount calculated to get around tax regulations requiring more documentation for bigger donations. The appraisals sometimes falsely stated that the estimated values were prepared at the Southeast Asian Museum in Bangkok. 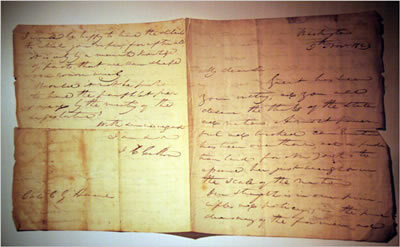 The Markells would then arrange for the donation of an object to a museum. This is a typical scam. The dealer sells his stolen wares to collectors who then donate them to a museum. The dealer makes bank, the collector gets a fat tax break, and the museum gets goods they can hastily provenance as “donated from the private collection of Mr. and Mrs. Smythe, Esq”. In this case, there was a nice tax fraud element too — when will people learn the lessons of Al Capone? — but even without the inflated estimates, this process often serves to obscure theft. It’s an antiquities laundering operation, basically, and everyone in the ring benefits. 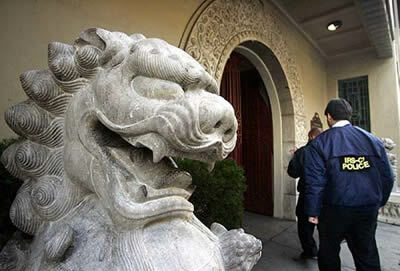 The Los Angeles County Museum of Art, Pasadena’s Pacific Asia Museum, the Bowers Museum in Santa Ana and the Mingei International Museum in San Diego were served with search warrants this morning, the result of a five year undercover investigation on the purchase of looted goods. The warrants are based on an undercover investigation by an unnamed agent with the National Park Service, who presented himself as an eager new collector to Olson and Markell. Both men allegedly admitted their illegal activities to the agent and sold him recently looted objects. The warrants claim the men also introduced the agent to museum officials who, in dozens of secretly tape-recorded meetings, accepted donations of looted art with values inflated to help the sellers obtain tax write-offs. In the case of the Bowers and the Pacific Asia museums, the warrants clearly suggest that museum officials were aware that the objects were looted and overvalued and accepted them anyway. The London School of Economics has digitized the full archive of Charles Booth’s late 19th c. Inquiry into Life and Labour in London. Charles Booth’s Inquiry into the Life and Labour of the People in London, undertaken between 1886 and 1903 was one of several surveys of working class life carried out in the 19th century. It is the only survey for which the original notes and data have survived and therefore provides a unique insight into the development of the philosophy and methodology of social investigation in the United Kingdom. It’s a wonderland of social history, with a particularly engaging map of the city color-coded by income level. Click here to explore the Poverty Map of London along with a current map to help you get your bearings.